A wholly predictable result given the venue and the respective positions of the two clubs. 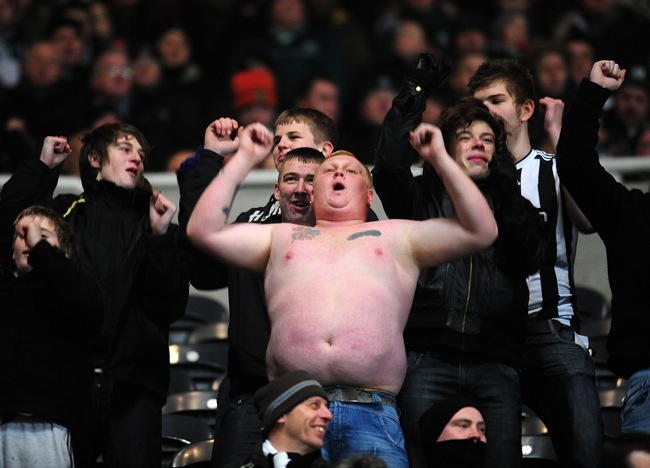 Argyle, currently trapped in the Championship’s relegation zone, were comfortably beaten by the table-topping Geordies. Peter Lovenkrands showed his class with a well-taken hat-trick. At least now Argyle can concentrate on staying up. Green Army! etc. Newcastle away? thats a long old poke init!! is that micheal jackson stood next to the porky geordie? ?